Tarot Witch - Tarot Bulgaria ltd.
Tarot Witch by Synergie + book. 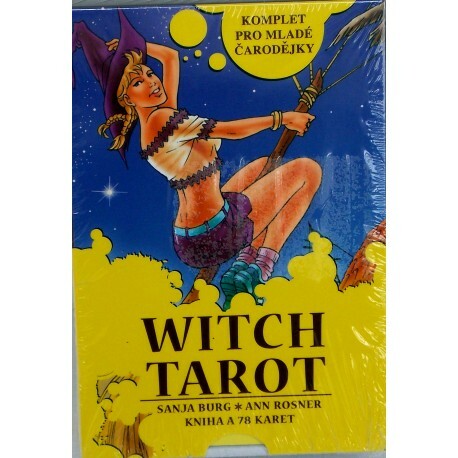 A set of tarot cards for young witches. Witches are able to read the Tarot using the network of life, use it as a guide on the road and get his help with answers to questions that relate to their journey. In every woman, whether old or young, lurks a witch. Beautiful, free and happy, communicates with animals, plants consoles, playing with precious stones, feel, perceive, focus and uses the power of the air, water, earth and fire. Wearing jeans may be a roller-skates, but her wisdom, power, symbols and instruments remain the same. Witches are amazing creatures that remind us that there is a world of greater possibilities than we realize.